If you forget to activate the lightdm.service in the previous article you will never be able to boot into the graphical environment. I forgot that and I fix it here. 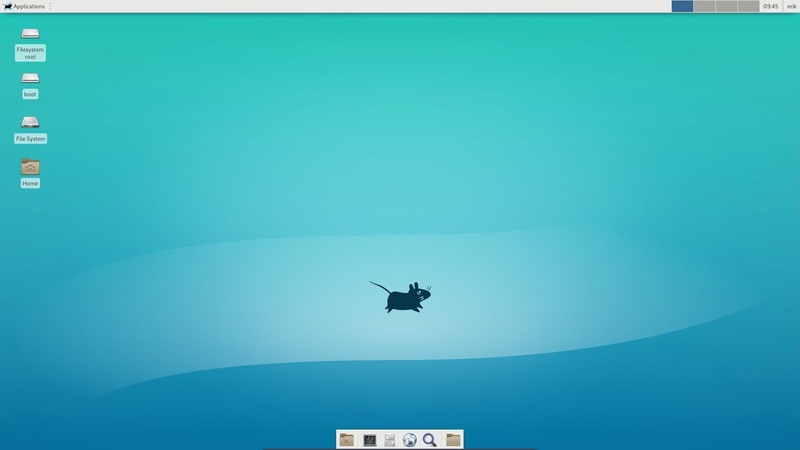 We change the name of the whiskermenu from ArcoLinux to Arch Linux Xfce. We also change the logo’s to ArchLinux everywhere. We get the .bashrc from ArcoLinux to get pksyua and mirror for example. sudo pacman -S reflector — You need to install reflector to use mirror. We activate a conky and change the logo. 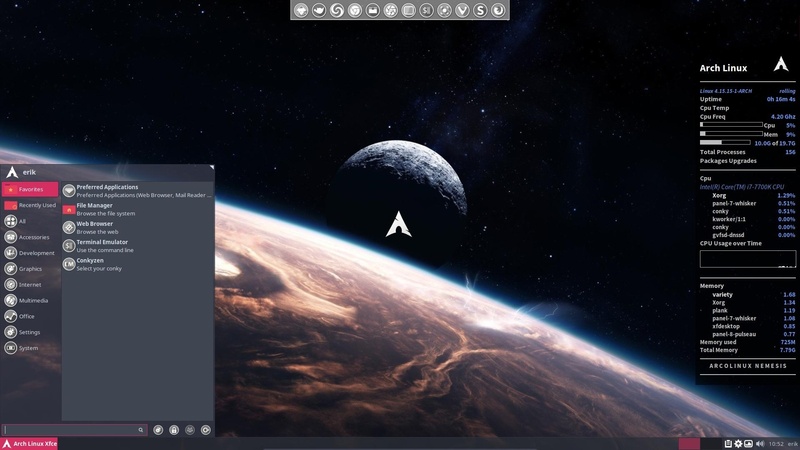 We change the theme, icons and cursor. We also install the arcolinux-nemesis scripts that I normally use after a clean install of ArcoLinux. You decide if you will install those.